If commercial shampoos are giving your hair a hard time, you can easily make your own natural shampoo. Pure Black soap makes a great natural shampoo base. Black soap is made from a combination of coco pod ashes, plantain skin ashes, palm oil, tea tree oil or shea butter. Makers use a different combinations of those ingredients. It is soft, melts faster than traditional soap and is brownish in color. 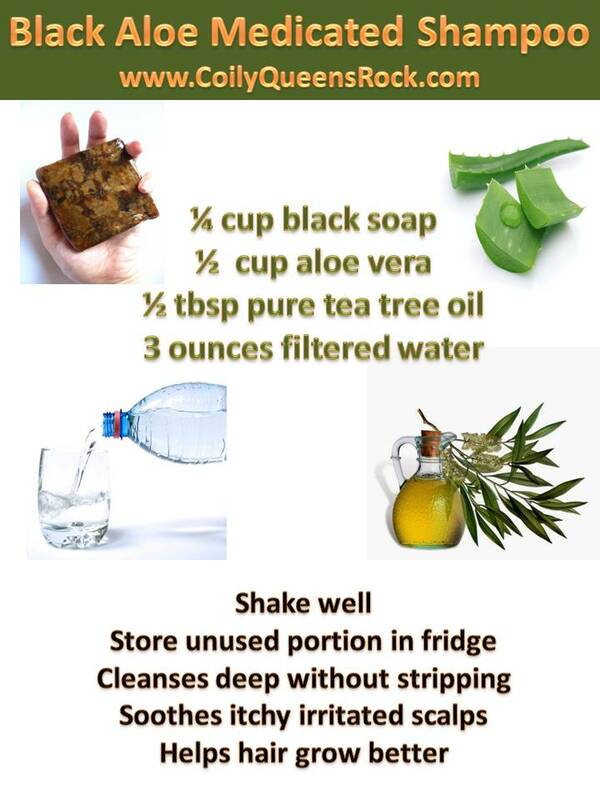 Black soap is great for deep cleansing of your hair and body. Great at removing product buildup and dandruff. 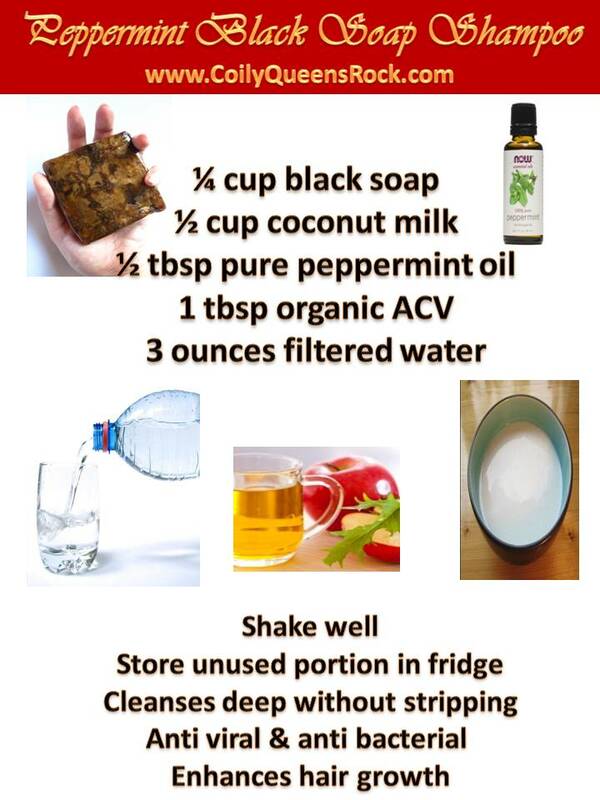 Although it is all natural, it is not a mild cleanser. I would recommend using it nor more than once per week in the place of your commercial shampoos. For these recipes I used liquid blacks soap, for convenience. 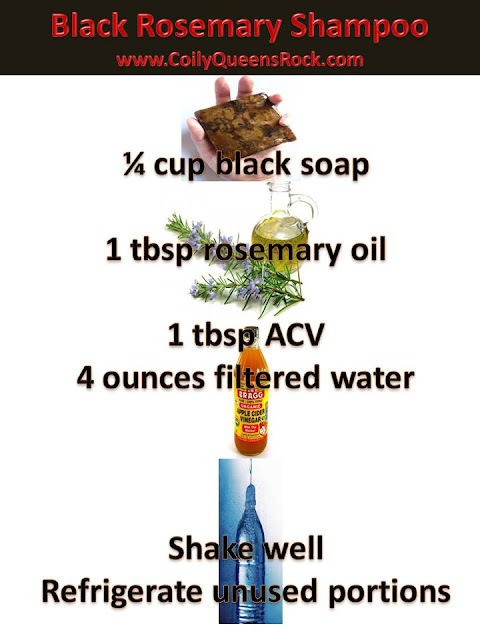 You can purchase original black soap and shave off pieces and make your own liquid black soap, if you prefer. 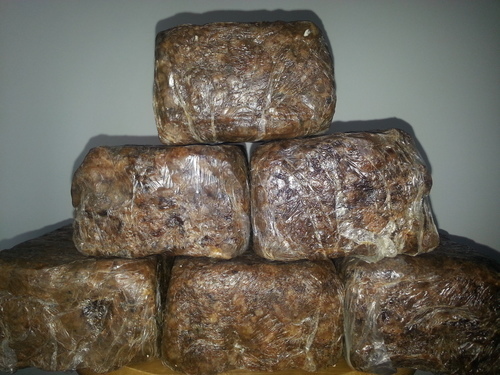 Each maker creates their black soap in a different way. 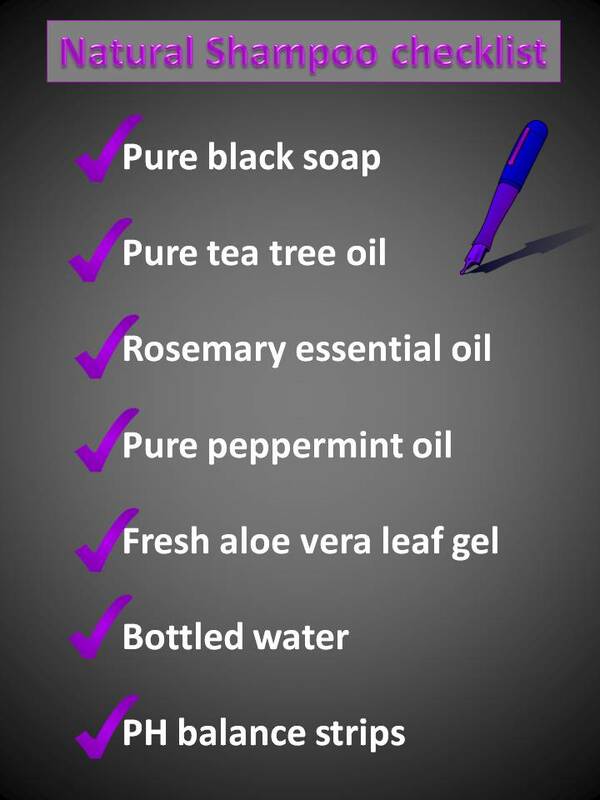 Just because it says "black soap" does not mean it is pure. Read your labels. Great! I couldn't agree more. I love it when black soap is praised. When is it time to trim your hair and how?